Steve Vai and Morley have joined forces to produce the Wah of a lifetime. Set to Steve Vai's precise specifications and equipped with Morley's superior Electro-Optical circuitry, this pedal can handle any and all Wah duties. The pedal is switchless for ease of use - simply step on to engage Wah mode and step off to go to bypass. 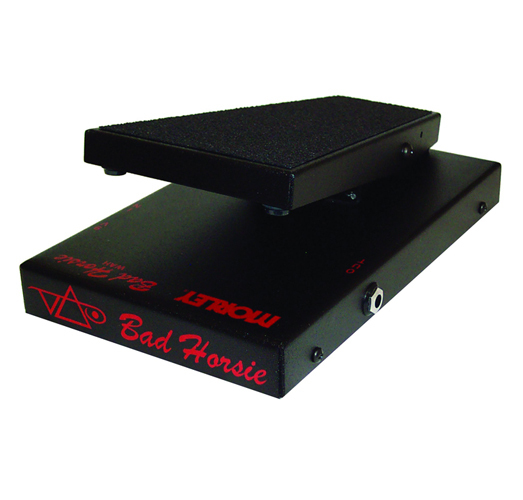 The Bad Horsie has a special buffer circuitry to prevent signal loading, for superior Wah tonality and to drive long cables. It comes equipped with LED indication, and easy access battery compartment. Steve loves it, and we're sure you will too.